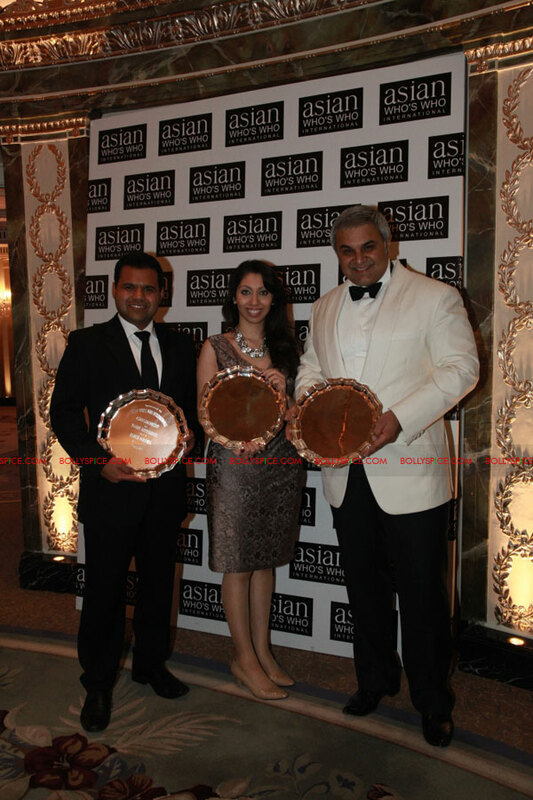 Natasha Mudhar, CEO and MD of international communications agency, Sterling Media, was honoured with the Asian Leadership in International Media Award at the esteemed Asian Who’s Who Awards 2011, which took place on Monday 21st November at The Dorchester Hotel, Park Lane London. Now in its 24th year, the high profile event pays homage to the most influential Asians the world over, who have made a phenomenal contribution to their respective fields and continue to set a shining example to their peers among the global Asian fraternity and beyond. Natasha was presented the award in the presence of a host of MP’s, dignitaries, industry leaders, celebrities and VIP’s in attendance. Award winners were selected by an independent panel of eminent advisors, including previous award winners such as Founder and Chairman of Cobra Beer Lord Karan Bilimoria; Baroness Shreela Flather; and Rt Hon Keith Vaz MP. Natasha was recognised for her rigorous business acumen and entrepreneurial spirit. As CEO and MD at Sterling Media, one of the UK’s leading full-service communication agencies with global footprints in Middle East, India, USA, Canada and Pan-Europe, she is known today for her phenomenal contribution in the field of brand management, marketing, public relations, advertising, online and events. Natasha joined Sterling in 2004 which was established by Ms Teji Singh, one of the first women from an ethnic background to set up an international agency in the UK. Natasha’s exemplary leadership has spearheaded the company’s transformation into an award-winning, globally recognised name. With the good-will of over 17 years, Natasha’s brand building expertise has been sought by emerging brand names, which she has successfully propelled onto a global platform, as well as large corporates that regularly seek her unparalleled consultancy services. The young achiever successfully manages an impressive portfolio of clients and her contribution to the company includes implementing campaigns for clients such as Live 8 for Make Poverty History I and II, Aston Martin, Lloyds Banking Group, Warner Bros. Pictures, Twentieth Century Fox, Viacom, Sony Music, Sahara, Kingfisher Airlines and Force India. Having faced her own glass ceilings, Natasha’s aim has been to raise the share of voice and mind for diverse communities within the media, promoting International and Ethnic events, issues and interests that were once perceived as niche to a wider mainstream and international audience. As a result, Sterling launched a specialist Ethnic Marketing Division which is regarded as one of the UK’s leading agency services for diverse markets. Sterling is also recognised as one of the first communication agencies to have contributed to the global Bollywood boom and has strategised campaigns for projects such as the multi Oscar-winning Slumdog Millionaire and Bollywood’s most successful film to date 3 Idiots. Natasha has also worked with the biggest stars from Bollywood, representing the likes of Akshay Kumar, Anil Kapoor and Hrithik Roshan, as well as working with mainstream stars such as Sylvester Stallone, Kylie Minogue, Sir Ben Kingsley and Goldie Hawn. In speaking about the Award, Natasha said, “It is truly humbling to have received the award and I thank the entire team and esteemed judging panel of Asian Who’s Who. From being recognised as a tool for propaganda and now as form of two-way communication, without a doubt the communications and media industry is one of the world’s most powerful with its ability to create change. To be a small part of this change through our work is an honour and I am grateful to have had the opportunity to be part of a fraternity and company such as Sterling. The prestigious Asian Who’s Who Awards were presented to coincide with the launch of the annual publication of the Asian Who’s Who International, featuring the world’s most inspiring and respected Asian personalities across a host of fields and professions. With the first edition published in 1975, the now annual directory features the biggest and brightest Asian talents and charts the ascent of the community as it continues to provide shining role models to new generations of Asians who are proving themselves to be assets to their country of residence. 17 queries in 0.755 seconds.